The new location doubles museum exhibit space and adds classrooms and an art studio. KidsQuest Children’s Museum opens Tuesday, Jan. 31, at its new, expanded location in downtown Bellevue. The interactive museum — for infants to 8-year-olds and their caregivers to explore science, technology, engineering and art through play — originally opened in Factoria in 2005, attracting more than 180,000 visitors a year. The new location doubles museum exhibit space and adds classrooms and an art studio. 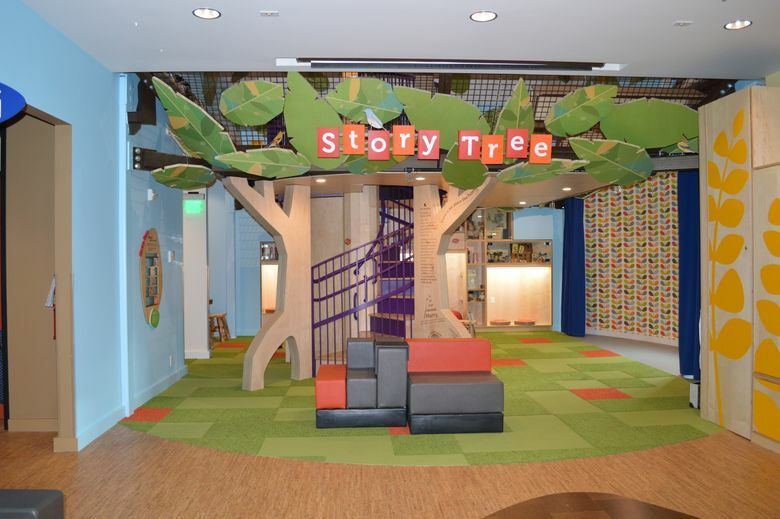 New exhibits include Sticks + Stones Outdoor Gallery, Water Gallery with Tot Splash zone, Tot Orchard for ages 3 and younger, Story Tree Gallery stage and reading nooks, Bellevue Mercantile dramatic play areas inspired by historic Bellevue, Cityscape Gallery and a two-story climber for active exploration. The new location is on the site of the former Rosalie Whyel Museum of Doll Art that closed in 2012. A rotating selection of dolls and other vintage items from Whyel’s collection will be on display in the new KidsQuest. The museum’s Tuesday opening is preceded by a ribbon cutting at 8:30 a.m. with Bellevue’s mayor and other local officials. Regular hours will be from 9 a.m. to 5 p.m. Tuesdays, Wednesdays and Thursdays; 9 a.m. to 8 p.m. Fridays; 9 a.m. to 5 p.m. Saturdays; and noon to 5 p.m. Sundays. Admission is $12/person, free for infants under a year old; KidsQuest Children’s Museum, 1116 108th Ave. N.E., Bellevue, 425-637-8100 or www.kidsquestmuseum.org.